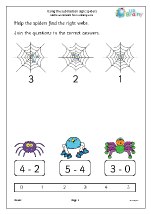 A wide selection of maths worksheets covering counting and numbers up to 10 and an introduction to addition and subtraction. 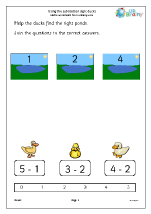 We have arranged all our Later Reception Maths Worksheets (age 4-5) into the following categories. 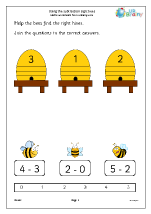 Each has many resources within so why not jump in and explore the site? 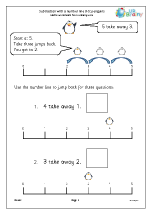 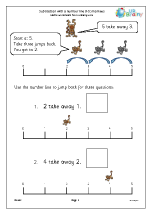 Our newest Later Reception Maths Worksheets (age 4-5). 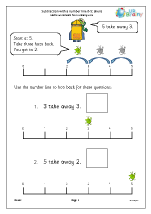 Have a look at some of our latest resources. 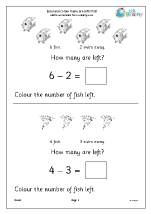 Extension: how many fish are left? 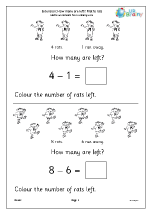 Extension:how many rats are left?